I seem to be stuck at 3.5 -3.75 stars with my reviews lately. 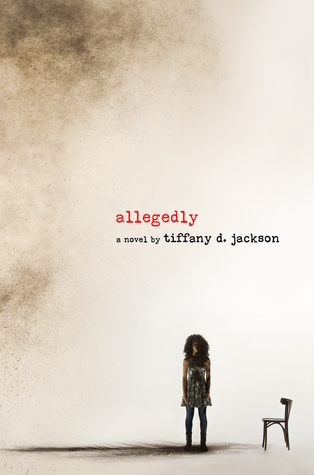 I must admit, “Allegedly” is a page turner from the start. We first meet pregnant teenager Mary Addison in a group home, having just got out of ‘baby jail’ for the killing of an infant in her care at nine years old. In a non-linear narrative throughout the novel, other details of the crime and her background come to us: her mother’s mental illness, Mary’s relationship with her boyfriend Ted, recollections of abuse by her mother and stepfather. It’s a tough read, and you can’t help but root for Mary as she tries to fight for her rights as a mother and a better future for her child. What I didn’t like: the ending. I won’t give it away, other than to say that it didn’t go with the rest of the novel. I understand that Mary is an unreliable narrator, but what happens here is a total reversal: getting through nearly 98% of the book only to have the main character completely change her course of action. I also didn’t like the presence of one too many improbable events, no matter the fact that this is a fictional story. Like Mary’s recollections of ‘baby jail,’ for instance. In what state is it legal to house a nine-year-old in an maximum level adult correctional facility on permanent lock down because they “don’t know what to do with her”? Umm, I don’t think that’s likely. Recommended? Yes. Ignore the YA label and let this one take you down the rabbit hole. You’ll be glad you did.